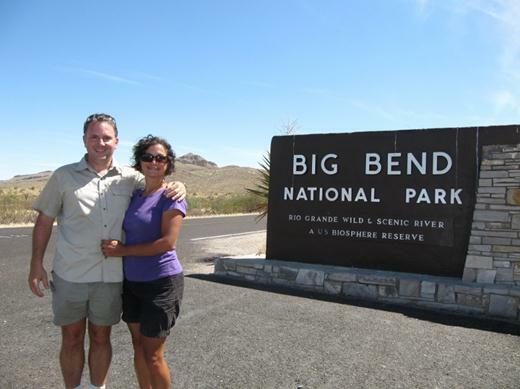 Big Bend is named after a large bend in the Rio Grande River. 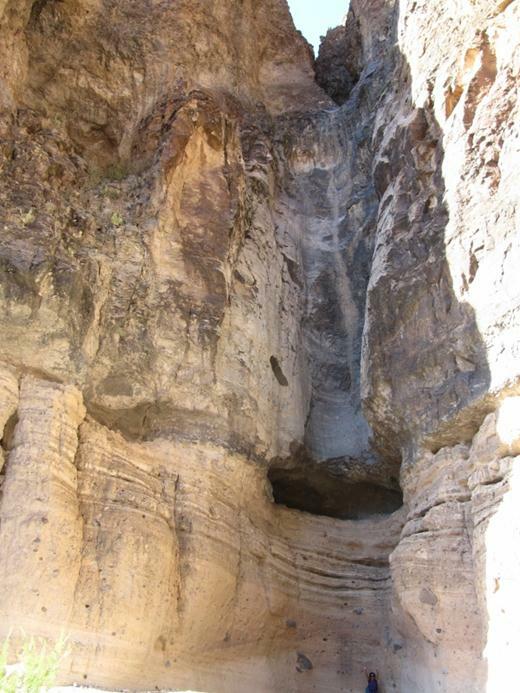 The park has most every feature of the southwest country side….mountains, deserts, canyons, valleys, plains, springs and one river. 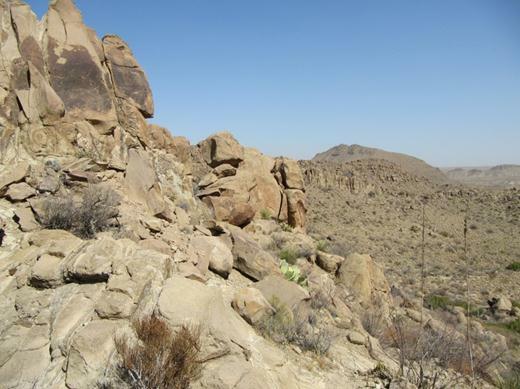 This park is south western beauty at its best…every hike and every drive has something new and amazing. 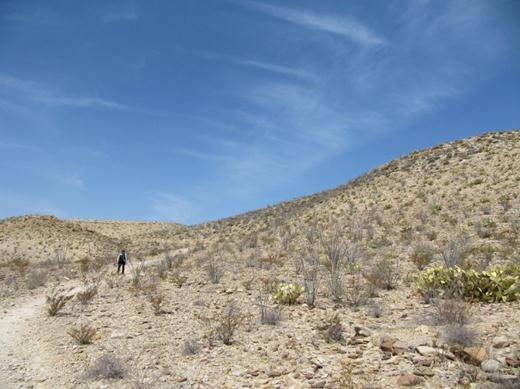 Although it’s usually hot this time of year after the first day we hit a lucky streak of cooler 25C weather so we took advantage of it and hiked all the deserts and canyons we could. 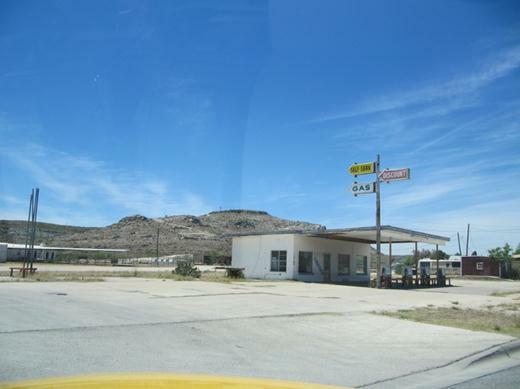 Before we get to Big Bend we gas up at the few gas stations we find on the deserted highway. 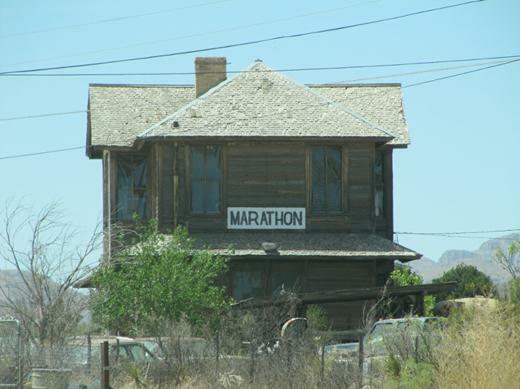 Marathon is the last stop west before we head 65 km south into Big Bend. 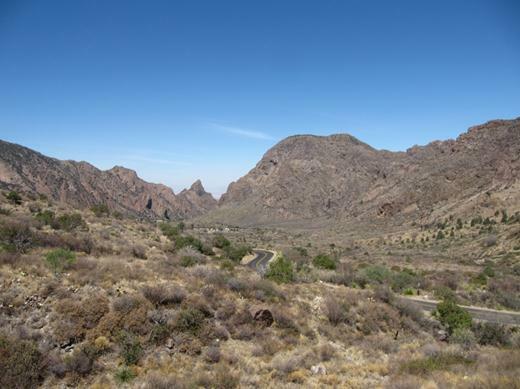 We camped at the Chisos Basin campground which is surrounded by mountains. 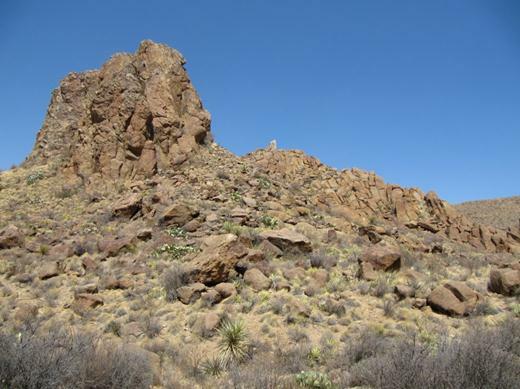 Since it’s 2000 feet higher than the desert floor it is a bit cooler. No power or showers but the view every morning is amazing. 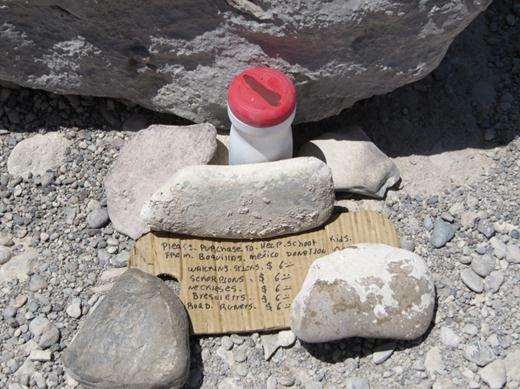 The temperature at the other campground in the park (Rio Grande Village) was 40C!!! 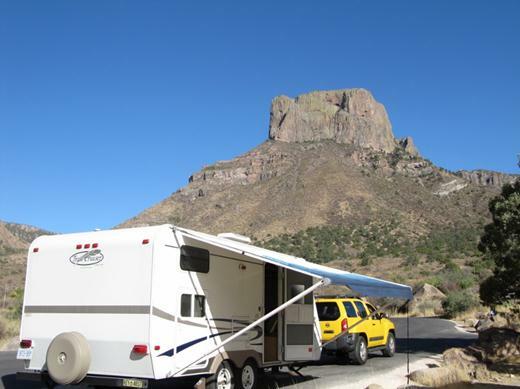 We setup camp under the watch eye of Casa Grande. 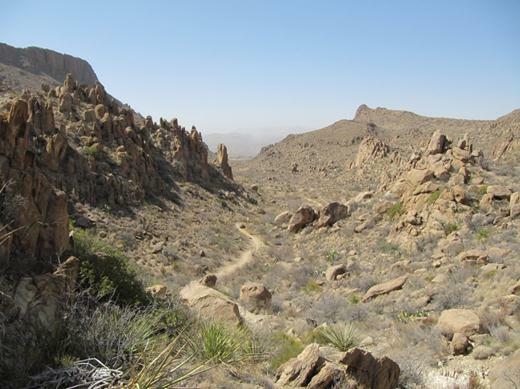 Lost mine trail hiking up into the Chisos mountains. 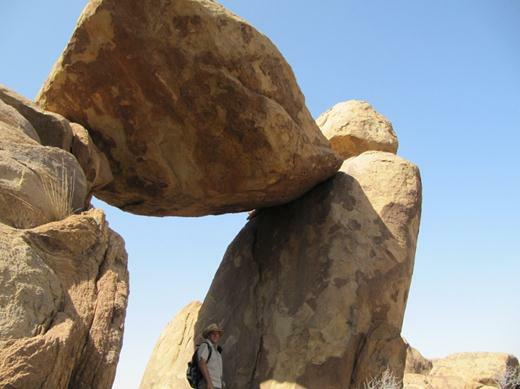 …The reward is a great view, although we can’t seem to find this “Balanced Rock” anywhere!! 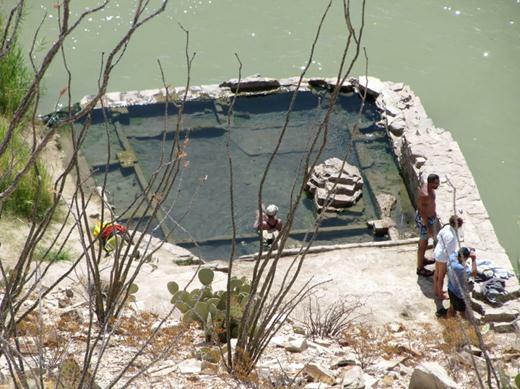 On our second day we take an off road trail to get to the ruins of a Hot Springs lodge on the Rio Grande. 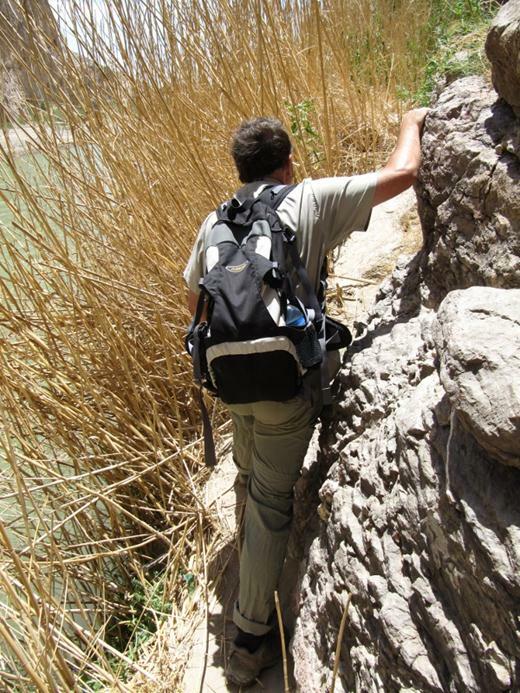 We hiked into the Boquillas Canyon…. 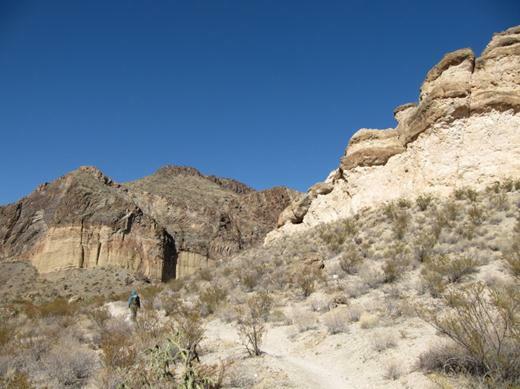 …which is the east canyon of the park that the Rio Grande flows through. 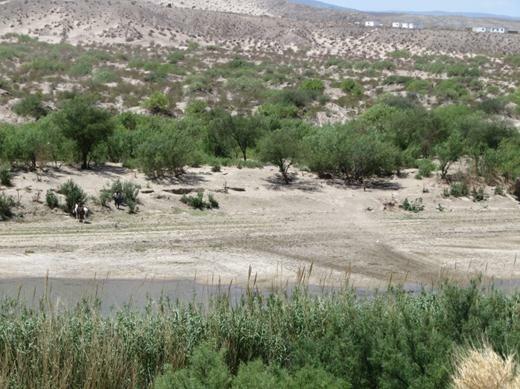 While hiking near the Rio Grande we noticed these Mexicans waiting on horseback – on the Mexican side of the river. 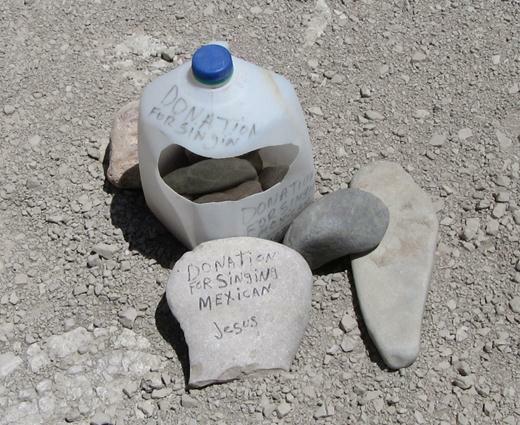 As we go on we see this merchandise just sitting by itself on rocks here and there along the trail. Each merchandise station has a homemade pay station with a price list and converted wet wipes container to receive the money! 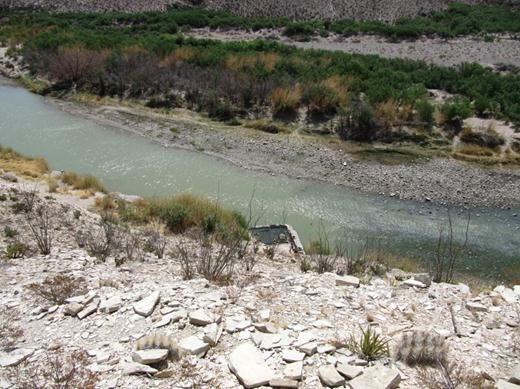 Mexicans found across the border can be charge, fined and put in jail so they come at great risk. The strangest pay station we came across was this one. Says something about a singing Mexican!? 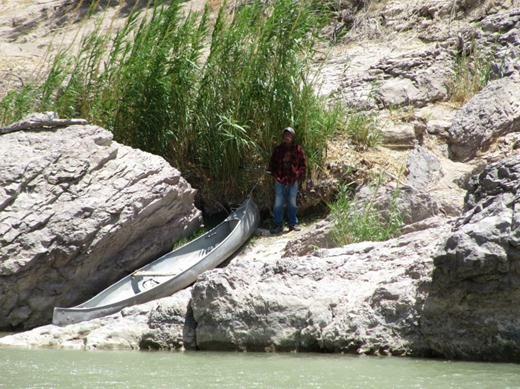 Just then we hear a faint sound coming from across the river….sure enough it’s a singing Mexican !!! 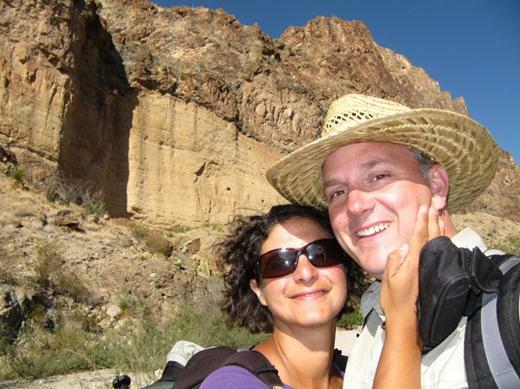 Later that day we hike the Lower Burro Mesa Falls trail in search of waterfall…. 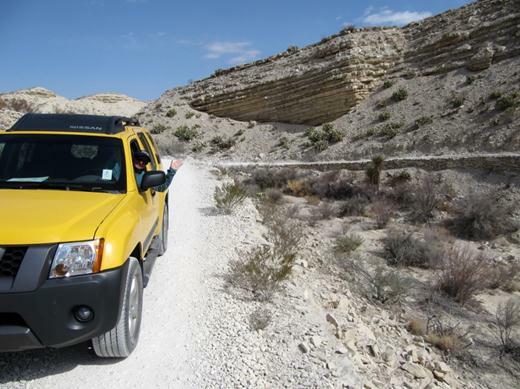 …but getting to this box canyon was very scenic. 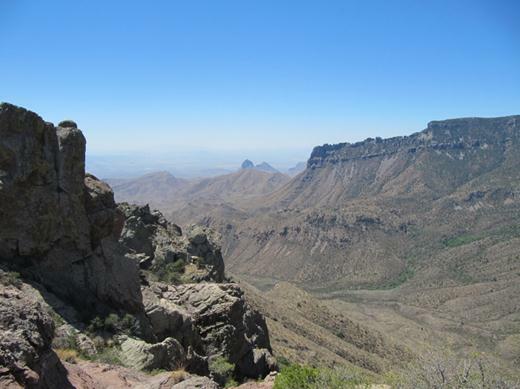 Next up…Big Bend National Park, Part 2. WOW! What an amazing trip! 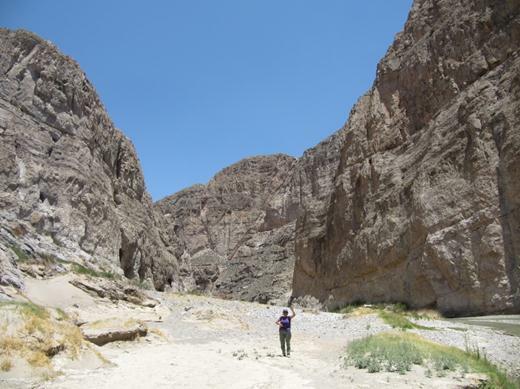 We can’t wait to go back to Big Bend and seeing your pictures has made us even more ready! 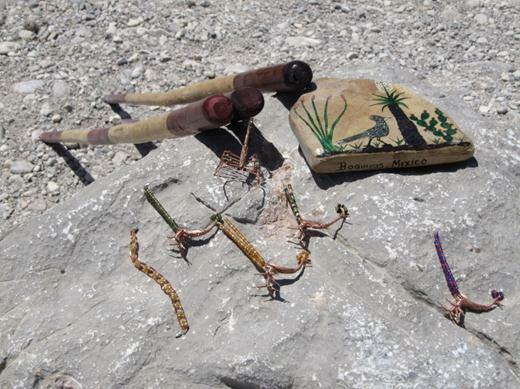 It was great to meeting you in Big Bend! Enjoy the rest of your travels! What a great rsouerce this text is.